One of the most influential filmmakers of the generation is Quentin Tarantino. 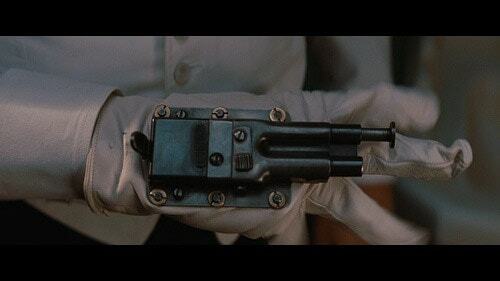 His ‘war movie’ Inglourious Basterds, while entertaining, did exhibit a rather interesting firearm that actually did exist—the Glove Gun. During World War II, the U.S. Navy operated from hundreds of isolated airfields located on atolls in the Pacific. Naval Construction Battalions (Seabees) carved these fields with excavators and tractors along on the edge of dense jungle and these heavy equipment operators often had to fight as they built—Japanese holdouts could come barreling out of the tree line at any time to attack them in an effort to disrupt the war effort. In response, US Navy Capt. Stanley Martyn Haight designed a last line of self-defense for these operators, something they could wear while on the job and have at least a hope of fighting off a close range attacker. His design was a simple single shot pistol affixed to the backhand side of a work glove. The Sedgley Company produced his design and prototype in 1943-1944. 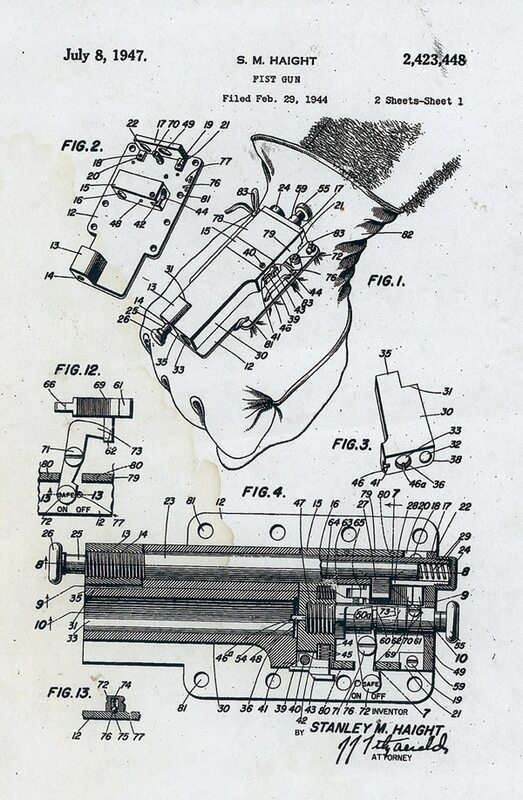 The Reginald F. Sedgley, an inventor with several patents for ratchet wrenches and socket-related tools, founded R.F. Sedgley, Inc. The company was located in Philadelphia and began operations around 1916. R.F. Sedgley’s best-known products were the line of “Hexall” brand socket sets, which were offered by a number of industrial distributors. They also manufactured a number of small ‘bicycle guns’ in tiny calibers and the company started to use surplus Springfield and Krag actions to make custom hunting rifles between the wars (Sedgley’s factory was conveniently located in the same neighborhood as the U.S. Marine Corps Depot of Supplies). Sedgley often bid on a number of small Navy contracts, including 12-guage flare guns and the Glove Gun. It should be noted that Sedgley also produced several curio firearms such as the Sedgley Fountain Pen Pistol, as well as gas guns and projectors and introduced the unique .22-4000 Schnerring-Sedgley round. The business closed in 1957. The Sedgley was a simple 2 7/8-inch, smoothbore barrel with a trigger mechanism attached. The breech swiveled open and closed to load a single .38 S&W round (although some reproduction models were made in .38 Special) and a simple sliding safety prohibits accidental discharges. 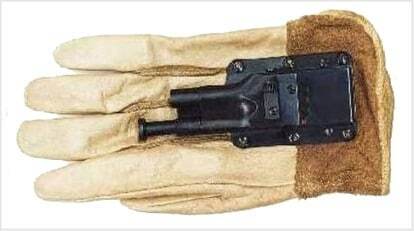 The firearm has neither frame nor grip and is attached to the backhand side of a leather work glove with six brass rivets. To fire the loaded weapon, the user makes a fist and literally punches it forward with the safety lever disengaged. When the edge of the plunger trigger, at the front of the firearm to the left of the barrel, makes contact with the target, the single round fires. A number of museums retain examples but there are a few specimens circulating among collectors in the $3000-$7000 range. 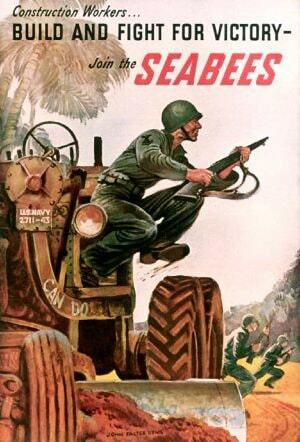 At least one of these was issued to heavy equipment operators of the 31st Naval Construction Regiment (Seabees) and Builder John Blocker used it to dispatch a lone knife-equipped Japanese solider who had climbed on the back of his road grader. Capt. Haight himself won the Silver Star in 1944 as Relief Group Beachmaster on the Blue and Orange Beaches during the assault on Leyte, Philippine Islands, after the regular Beachmaster had been incapacitated. He retired as a Rear Admiral, died in 1975, and is buried at Annapolis. According to several books on Intelligence, the firearm was issued through OSS (the WWII forerunner of the CIA) circles as an assassination tool– although no single instance of its use can be confirmed or is claimed. Now that’s one heck of a movie-sized punch.